Note: An introduction to Psalm 119 was posted last week. This fifth section (33-40) reads like a plea from a faltering student for assistance in following a path that is definitely right but steep or poorly defined. The psalmist seeks divine tuition in the way of right statutes, understanding of the law, and the path to justice. He asks that his heart and eyes may be turned towards divine standards, away from the unjust and worthless pursuits. PFAS 119J provides an easy but effective refrain based on a ii-IV (or V11)-I which pertains to both the previous section, Daleth, and this one. 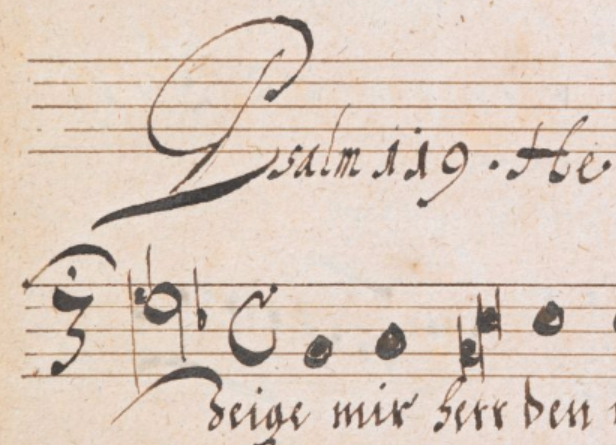 Verses may be sung to the tone provided or, as usual, one of the cantor’s choice.